A waste company has been fined £100,000 and ordered to pay costs of £11,603.14 after two employees suffered burn injuries while processing flammable aerosol containers. The workers were processing aerosol canisters using an industrial plastic shredder. When using a gas-operated forklift to place the canisters into the shredder, a spark ignited from the forklift and combined with a cloud of gas from the aerosols, causing the explosion. One worker experienced third-degree burns from the incident, leaving him in a coma for 10 days and on a life support machine. Further investigation revealed the work lacked proper supervision or suitable planning. 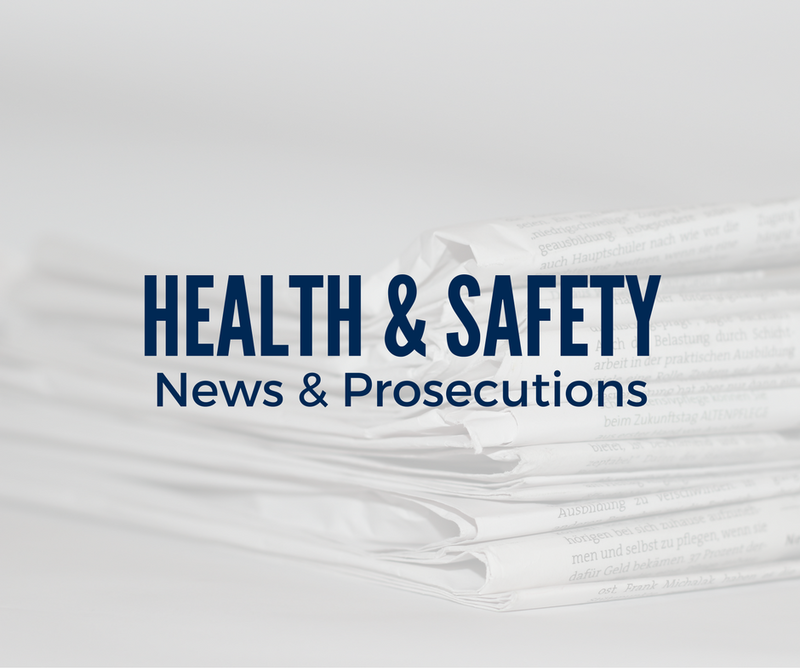 An international tyre manufacturing company has been fined £512,000 and ordered to pay costs of £5,820 after two employees suffered broken arms from the same machine. One employee was loading the machine when his arm was pulled in by the roller. Another employee was trying to make an adjustment during a production run when his arm was pulled in by the same roller. An investigation found the machine lacked proper safety guards, even after the first incident took place. For more information on proper use and implementation of workplace machinery, click here. A company has been fined £60,000 and ordered to pay costs of £1,302 after a visiting tanker collided with a forklift truck. The accident occurred when the tanker was reversing into a tanker discharge, hitting the forklift truck at a low speed. No one was injured in the process. Further investigation revealed the company had insufficient control of workplace transport.